Sony has an ambitious plan to bring 4K video-shooting capabilities to a wide range of its point-and-shoot and SLR cameras over time, and a new sensor developed by the company will make that possible. The Japanese company introduced its first three digital cameras capable of shooting 4K video at a press event in New York on Wednesday. The cameras are based on a new Exmor sensor, which can shoot highly sensitive images at up to 42.4 megapixels. The sensor, a big improvement over its predecessors, gives Sony the basic capability to bring 4K video to all its point-and-shoot cameras over time, said Daisuke Goh, product planner at Sony. Two of the new cameras introduced were new Cybershot models, which are targeted at consumers. It’s hard to predict when other pocket-fitting Cybershot models with get 4K video, but Sony’s goal is to bring 4K video recording capabilities to more cameras as soon as possible, Goh said. Sony wants to quickly move to 4K across its product lines, and wants to tie the functionality of its digital cameras closer to its TVs, Goh said. The company already offers video cameras capable of shooting 4K video, but its still cameras mostly capture video at resolutions of up to 1080p. But by moving to 4K, Sony is taking a step to increase demand for its digital cameras. Digital camera shipments have declined in recent years, with smartphones and tablets being used to take more pictures and videos. The cameras introduced on Wednesday are capable of shooting 4K video at high frame rates, which the company’s Xperia phones are not capable of yet. The new Exmor sensor makes major advances in technology with the ability to capture light more effectively, which helps deliver picture readouts faster. The sensors can also capture more detail, and stacked DRAM chips are capable of buffering images temporarily, which helps effectively capture slow-motion video. The new cameras also boast improvements in image stabilization, ISO and shutter speeds. The more advanced Exmor R sensor is in the Alpha 7 R II camera, which can capture more detailed images and can render pictures 3.5 times faster than its predecessor. With a new Bionz X image processing engine, the SLR camera can fine-tune images to look more natural. The camera can record 4K movies in full-frame format, and captures 1.8 times as many pixels as required for 4K movies. The camera is priced at US$3,200 and will ship in August. The new Cybershot cameras are not as advanced as the SLR model. 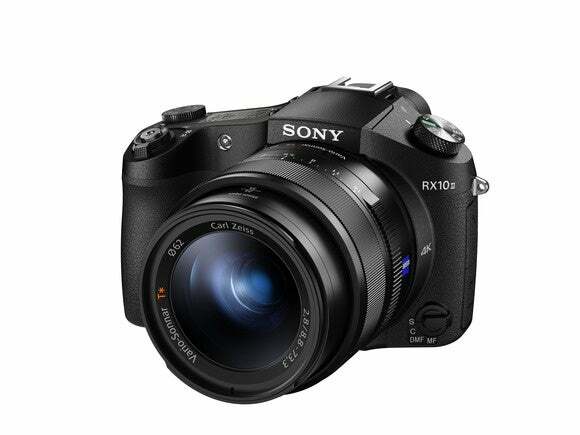 The 20.2-megapixel Cybershot RX10 II and 20.1-megapixel RX100 IV have the Exmor RS sensor, which is a modified version of the Exmor R sensor, but for lower-resolution cameras. The RX10 II can shoot up to 29 minutes of 4K video in one session, while the RX100 IV can capture up to five minutes. The cameras are designed to capture slow-motion video, and the sensors can capture high-frame-rate 4K video at 960 frames per second. The RX100 IV is priced at US$1,000 and the RX10 II is priced at $1,300. The cameras will ship next month.